Ultra soft bristles assure a gentle cleaning without irritating inflamed or unhealthy tissues. 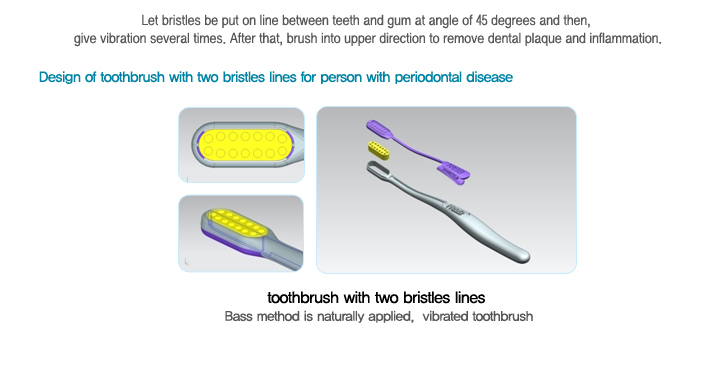 The tapered bristles safely and effectively remove plaque and food debris from gum line. Over 4,000 hair-like bristles comfortably massage extra-sensitive areas. The special hair-like bristles safely and effectively remove plaque. Slim line head and narrow neck for a longer reach; also a beveled handle for comfortable hand fit. Contact Us for more details about our patented products.